Lucky Pants is a vibrant room full of happy winning bingo faces. Whether the game of your choice is 90 Ball Bingo, 75 Ball Bingo or Slots, in Lucky Pants you will find the best of everything. Below is a table with the top 5 promotions available to every player of Lucky Pants Bingo. But let’s review a little more what Lucky Pants is really offering. The popular 90 Ball Bingo and the always intriguing 75 Ball Bingo games are available in various rooms. Players logging in will see a very clean lobby with all the info and options nicely spread out across the screen. See an example below (in our case we were awarded 10 Free Spins). The Bingo sign contains all the bingo games available, the game type, the jackpot amount and how many players are participating. We always recommend avoiding crowded rooms as chances of winning are slimmer and it’s usually someone else getting a full house while we are stuck at 1TG. Cards in most games cost 2p or 5p, but there is of course penny bingo and free bingo (although the latter is available only to players who have deposited at least once in the past). What we really like about Lucky Pants Bingo is the exclusive slot machines it offers. There are around 10 games that can’t be found anywhere else in the internet, and if you have been playing bingo and slots for some years you can understand how interesting this sounds. We want go into much detail about the roulette’s and the blackjack’s because they are not our thing, but we would definitely recommend trying the Jazz Cat Slots and the Grease Slots. Bingo sale every day 4-6pm. We think this is a great idea. All cards are between 10% and 30% off during these happy hours. Apart from this, we counted another 13 great promotions running at Lucky Pants Bingo, and this does not include the personalised Weekend Promos that are being sent via email to registered players. There is always something for you at Lucky Pants, that’s for sure. We would like to see more depositing options from Lucky Pants. Currently players can only use their debit / credit cards and/or a Neteller account. Although these are very convenient methods as winnings are paid back instantly to the registered account, we would like to see maybe a Paypal or a UKash. Needless to say that all transactions are encrypted and 100% secure. With so many bingo brands out there, rewarding a player and offering the best service should be a number 1 priority for every bingo room that wants to succeed. Fortunately, Lucky Pants does well in both these areas as well. Apart from the normal loyalty points every bingo room offers (you get 1 point for every card you purchase or pound you wager – you can convert these points to real money via the cashier), Lucky Pants Bingo also offers birthday bonuses, weekly cashback for the unlucky ones, fast processing times and customized weekend bonuses (via email). And when it comes to Customer Service, you will find a representative 24/7 to assist you quickly no matter what issue you are having. There are many more areas to cover when it comes to review a bingo room like Lucky Pants. These are the most popular areas, but as bingo players know it’s the little things that make the difference. And this is where Lucky Pants Bingo succeeds. 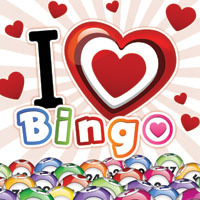 Follow our posts and updates that cover a wider range of topics on bingo, online bingo and gaming in general.